Thunderstorms are forecast today and the organisers have made the decision to bring the times forward in an attempt to beat the worst of the weather. William and Bay My Hero are now due to go at 1.07pm (EDT) / 6.07pm(UK time). This can be watched on FEI TV - http://www.feitv.org/live - and coverage starts at 2.45pm (UK time). 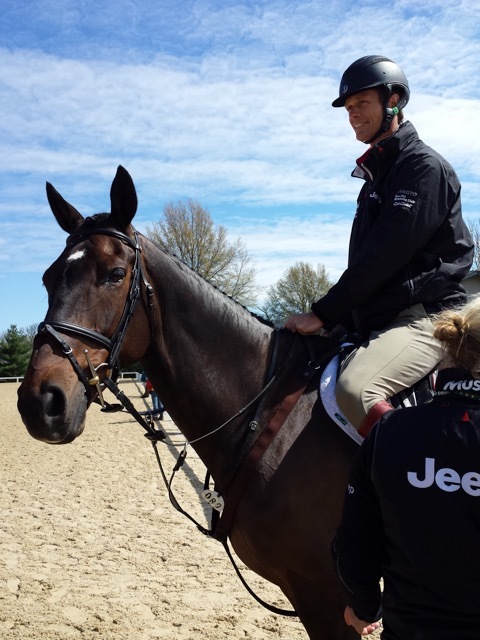 For viewers in America, Canada or Mexico it can be watched on USEF Network -http://www.usefnetwork.com/featured/2015rk3de/ - and coverage starts at 9.45am (EDT). Lets hope the rain does stay away!